Lock in a great price for Holiday Inn London-Bexley – rated 8.2 by recent guests! We wanted to eat earlyish so we ate outside the restaurant in the bar area., which was very nice. The hotel was really easy to find. Beds (Twin) very comfortable. Spotlessly clean. Even temperature. No noise. Quiet, convenient, lovely clean warm room, comfortable bed and pillows, all facilities we required, including free WIFI. Holiday Inn London-Bexley This rating is a reflection of how the property compares to the industry standard when it comes to price, facilities and services available. It's based on a self-evaluation by the property. Use this rating to help choose your stay! This 4-star hotel is based on the edge of the green belt, with easy access to London, the Kent countryside and the M25 London orbital motorway, via the A2. Free WiFi is available throughout the hotel. The convenient location and excellent access to the region’s major road network makes the hotel a great base, whether you are exploring the region as a tourist or visiting on business. With the hotel as a peaceful, comfortable and relaxing base, you can explore the beautiful sights and sounds of the Kent countryside, and with easy access to the capital; you can also enjoy the hustle and bustle of London. The air-conditioned double and family rooms provide a great base in which to relax and unwind, and kids stay and eat free. Take advantage of the hotel’s restaurant before you set out exploring and enjoy a drink at the bar when you return. When would you like to stay at Holiday Inn London-Bexley? A flat-screen TV, tea and coffee making facilities and a private bathroom are included in this air-conditioned room. Guests may be allocated a double or a twin room depending on availability. A flat-screen TV, tea and coffee making facilities and a private bathroom are included in this air-conditioned room. Deluxe toiletries are also provided. A flat-screen TV, tea and coffee making facilities, internet access and a private bathroom are included in this air-conditioned room. A satellite TV, tea and coffee making facilities, internet access and a private bathroom are included in this air-conditioned room. A sofa bed, a flat-screen TV, tea and coffee making facilities, internet access and a private bathroom are included in this air-conditioned room. This room is suitable for 2 adults and 1 child aged 12 years or younger. With a lowered bath and hand rail in the private bathroom, this air-conditioned room also has a flat-screen TV, tea and coffee making facilities and internet access. 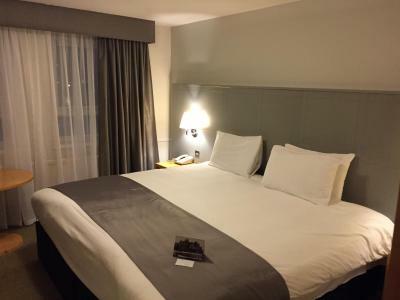 Welcome to the website for the Holiday Inn London Bexley hotel where you can book directly with us, find up to date information on the best available rates for our rooms, and find out about the latest packages and special offers. You can find us just 5 minutes from Bexley Village and 5 minutes from Bexley Train Station, making our hotel perfect for business and leisure travellers alike. We’re not far from popular destinations such as Bluewater Shopping Centre, the O2 and London city centre is a short train ride away as we are within zone 6. Our hotel is set in some lovely grounds perfect for outside events and Wedding Photos. We have one restaurants on site; Traders Restaurant which features a blend of modern and classic British and International flavours. At the Holiday Inn Bexley, we have 8 fully serviced meeting rooms that have been purpose built alongside an Academy Conference Centre to suit all your business meeting needs. The Holiday Inn Bexley offers easy access to the A2 and M25 motorway network and has 200 car parking spaces for guests. The hotel is also close to Bexley rail station with direct service into central London. House Rules Holiday Inn London-Bexley takes special requests – add in the next step! 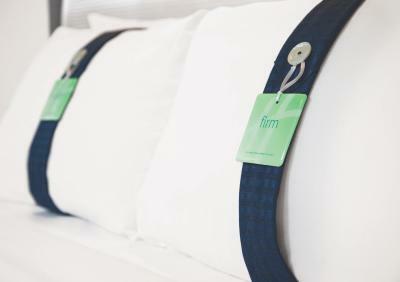 Holiday Inn London-Bexley accepts these cards and reserves the right to temporarily hold an amount prior to arrival. Breakfast vouchers are available to purchase on arrival at the reduced price of GBP 12 per person for either weekdays or weekends. Breakfast vouchers are nonrefundable and must be purchased on arrival to receive this reduced price, breakfast walk-in price is GBP 16.95 per person. Car parking is chargeable at GBP 3 per night for residents; the car park accommodates approximately 200 cars and there is no height restrictions to enter. The property operates a 'Parking Eye' system and guests must register their vehicle at the terminal on the Front Desk. Pre-booking is not required. Shower was boiling hot or freezing cold and should be replaced. The fan in the bathroom stayed on and was a constant drone all night making it hard to go off to sleep. Great location for Brands Hatch. Receptionist didn’t tell us the procedure for the car park so if I hadn’t double checked when we checked out I could have ended up with a £100 parking fine. Bathroom taps were dripping, most annoying.